Lord Byron did not exaggerate the matter when he proclaimed Dubrovnik as the pearl of the Adriatic Sea. Dubrovnik is clearly special. Dubrovnik has a curtain of magnificent walls with streets of marble and baroque buildings that exude a light in the Sun of the Adriatic Sea. The pedestrian principal street of Dubrovnik that is called Placa is a mixture of coffees and shops with excellent monuments in every places. In Dubrovnik there are Churches, monasteries and museums adorned with stones finely carved reminding a history full of events and artistic vibrant tradition. Beyond the city, Dubrovnik offers us a paradisaic landscape of beaches, wooded peninsulas and a sea sowed with exuberant islands. As the biggest city of Croatia on the coast of the Adriatic Sea and an important center of transport, Split (‘Spalato’ in Italian) is a city more exciting than relaxing. Split has got a port of massive sending of ferryboats to the islands of Dalmatia and farther, Split is an almost obligatory stop in a visit of Dalmatia. Though it is surrounded with housings apartments in block ugly enough, Diocleciano’s Palace is anyhow notable place that was named World heritage of the humanity so that to do a visit to the city costs is worth. In Split’s downtown, inside the former walls of Diocleciano’s Palace, there gets up the majestic cathedral surrounded by a tangle of streets of marble with shops and business. In the western end of Split’s city there are a great park, a mountain hoisted with beaches in its hillsides and a lot of ways for trekking in the high zone. A walk close to the reformed port full of coffees it turns into one beautiful excursion of half day into Split. In Split also it is indispensable to visit the high coastal mountains that are parallel to the sea Adriatic Sea and that provide an impressive frame, especially when they are seen from the ferries. Too often the tourists who go on line straight line towards the coast leave Zagreb of side. 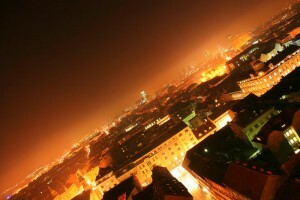 But really Zagreb is a fascinating destination itself, combining the best of Western and Eastern Europe. As the politics, economy and cultural life of Croatia the city of Zagreb vibrates with energy, but there preserves a good part of the grace of the old world. The sober buildings Austro-Hungarian of the downtown of Zagreb shelters elegant restaurants and fashionable boutiques, together with slovenly bars and trouble-maker’s rooms for the beer. In Zagreb there is a proliferation of galleries with many exhibitions of works of the artistic community, also in Zagreb it is possible to see a parade of national stars realizing other things in the rooms of concerts and also the local DJ’s fill the clubs with the last sounds. Spoilt by a coastal band that you will find at only three hours of distance, the residents of Zagreb have a vivacious vision of the nature. Even in winter, the long and refreshing section of the park that divides the downtown of Zagreb is rarely empty. With the first spring aspirations, in Zagreb the whole world goes to its favorite coffees outdoors to sunbathe of the midday. The weekends, the park Maksimir in the East of Zagreb is an important destination for the cyclists, walkers and corridors. In the summer, all those who do not go to the coast of Zagreb it slips away to Jarun Lake, in the southwest of Zagreb to swim, resea and to dance the whole night in a discotheque close to the lake. When the residents of Zagreb want to see the hills, they do not have a lot of way for crossing because the Mt Medvednica can be reached rapidly in streetcar and offers excursions, skiand excellent conference on the city of Zagreb. It does not matter the time or weather in Zagreb because there is a great quantity of amusements in Zagreb. There are many pubs, a great variety of museums and galleries of art to explore. In Zagreb also there are regular concerts, and the most refined culturally related shops to attend to wallets flood of credit cards. From the big cities to the islands and to the wooded mountains, Kvarner’s gulf (‘ Quarnero ” in Italian) offers an incredible variety of vacation experiences. Covering 3300 kilometres squared between Rijeka and Pag’s island, in the south, the region is known by its moderate climate and a wide range of vegetation, as well as a sample recovers of the spa city. The biggest city is Rijeka’s active commercial port, to few kilometres of the bank of the aristocratic Opatija. The big islands of Krk, Cres, Rab and Losinj also have their admirers’ part, which they come for the green hillsides of dip up to the sea. 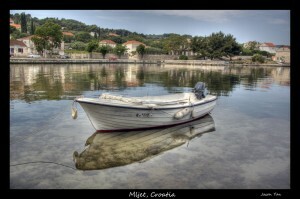 The Wizard Mljet (Meleda in Italian) would be the idea of someone of a paradisiac island of the sea Adriatic Sea. With 72 % of the island covered with forests and the rest of its surface with fields, vineyards and small villages, they do that Mljet throws a charm that can be difficult to break. In 1960 there was named Mljet’s National Park and this one occupies the western third of the island and its surroundings with two lakes of salty water, Villain Jezero and Veliko Jezero. 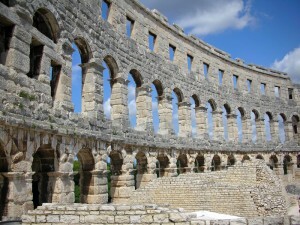 Pula (ancient Polensium) is a great regional center with a great quantity of Roman ruins for exploring. The most out-standing thing is the very well preserved Roman amphitheatre that dominates the downtown and is often a stage of concerts and spectacles. In spite of the intense commercial life, Pula preserves its life of village. The night life, restaurants and cultural activities are the best in Istria. Though there are no beaches in Pula’s city, a short distance in bus takes you towards the south up to the localities in Verudela’s peninsula. The landscape around Pula is slightly dramatic, since the region is relatively flat and its original forests of oak have been replaced by shrubs and pinegroves. The landscape also is affected by an agglomeration of residential and developments of vacations, but the line of south coast of Pula’s city that spreads up to Premantura’s Peninsula is splashed with bays and rocky coves of impressive beauty. Keywords: Principal cities Croatia. Visit Croatia. 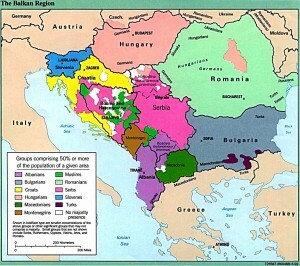 Cities in Croatia. Tourism in Croatia. Travel to Croatia. Hotels in Croatia. Dubrovnik Croatia. 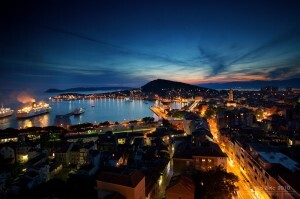 Split Croatia. Zagreb Croatia. Kvarner’s gulf Croatia. Mljet Croatia. Pula Croatia.